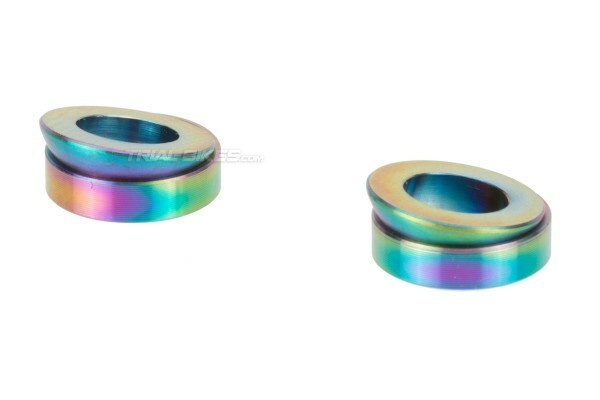 - Titanium caliper bolt tapered washers manufactured by Spanish brand Clean. 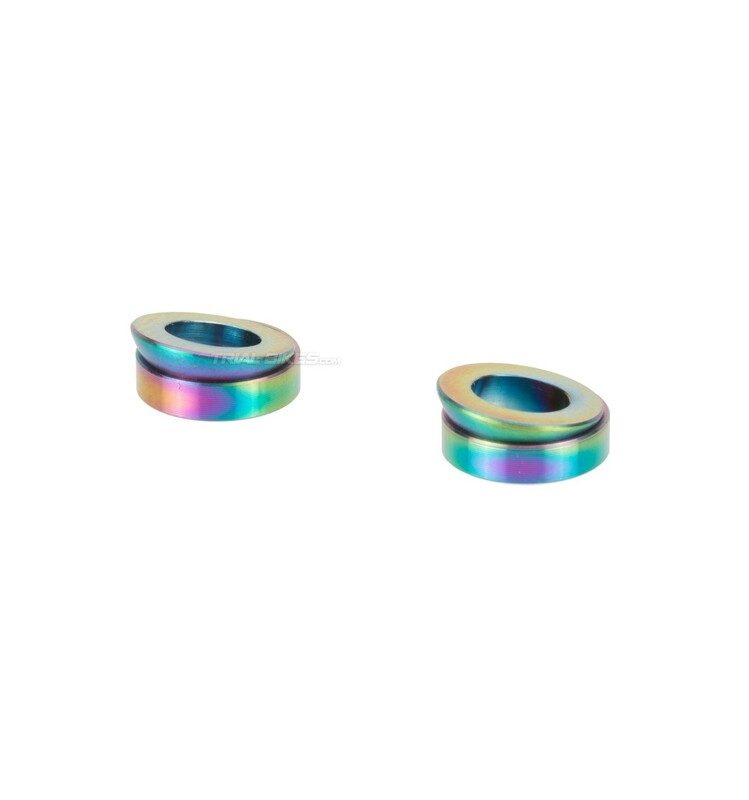 - These washers are installed between the caliper and Post Mount brake mounts, which helps compensate any slope or misalignment between them. - Made from high quality grade-5 Ti-6Al-4V titanium, which is ultralight and super strong. 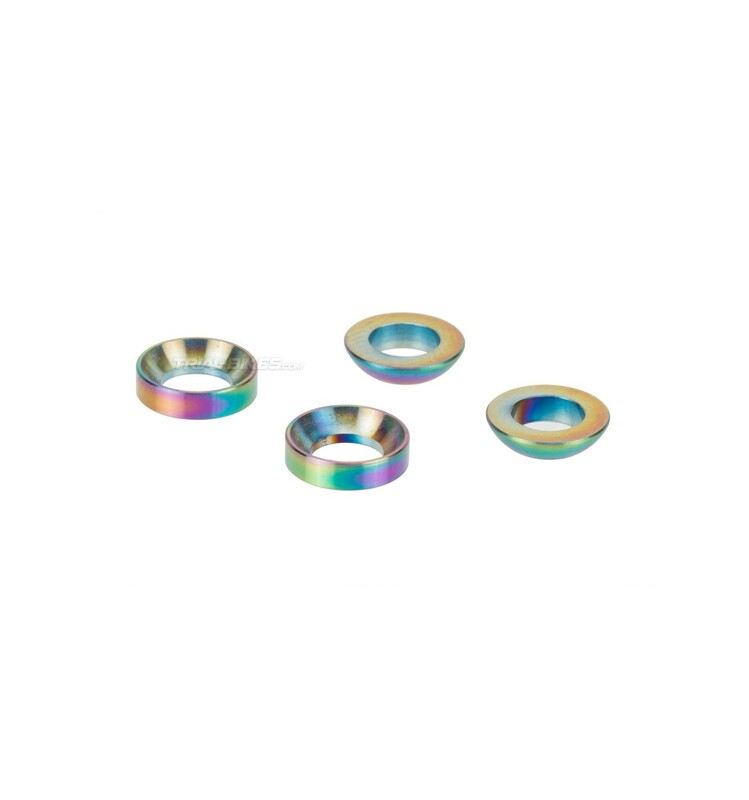 - By using these washers, the caliper rises 3mm, therefore they are ideal to combine with 162mm and 165mm rotors. - This washers must be installed between the caliper and Post Mount brake mounts, so that the caliper sits onto the flat face of the washer. - Must not be used with any other bolts.